During the cold winter months, every household requires a reliable central heating. Thus, if you are looking for an expert to upgrade the existing system, fix an emergency or install a new boiler, Eco Efficient can quickly access your requirements and offer you a service package that best suits your budget. This is a perfect way of preparing for the winter. Eco Efficient has been serving its Middlesbrough clientele successfully. The company has experts who can install both boilers and central heating system within the shortest time possible. These individuals have been handling similar tasks for many decades and thus, you can be assured that they understand every phase of central heating installation. In addition to our experts’ work experience, relevant training and in-depth technical know-how is another thing that puts us a step ahead of our competitors. All our central heating installation engineers are highly trained and understand each bolt and nut of different types and models of boilers. At Eco Efficient, we focus on offering services of the highest possible quality. 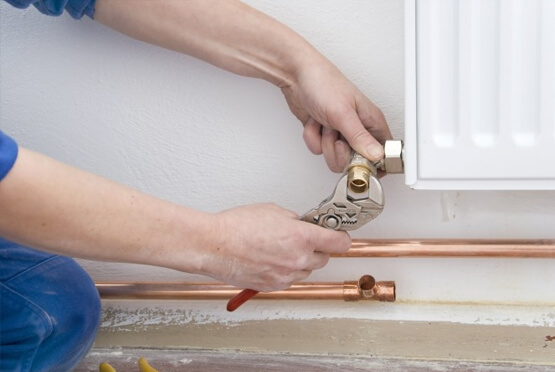 Our boiler installation and repair team works around the clock to ensure that every emergency boiler or central heating installation request is handled in time and by professional. Besides, we use highly sophisticated tools and equipment to ensure that we deliver top quality services at all times. With our outstanding experience in a broad range of boiler and central heating installation, we guarantee that your new boiler will be installed efficiently and by the right experts. That means you have a better chance of reaping from you investment. We will install the appliance in accordance with the industry requirements, knowing that Eco Efficient was built on the quality standards on which our clients rely on. Our central heating installation are available 24 hours each day. Most homeowners may prefer to replace their central heating at night when their loved ones are asleep and no one needs hot water as of that time. Whether you want us to replace your central heating at night or during the day, just contact us and our expert engineers will respond. Since we cover all your home-related central heating requirements, there is no need to subcontract. At Eco Efficient, we choose our employees carefully. None of our employees has criminal records or history of drugs and substance abuse. Besides, our employees are friendly and kind people who focus on helping our clients. Therefore, you can be assured that when we enter your home, our staff will be polite and respectful. Our staff also understand how understand it feels to live in a cold home and that’s why they will do everything they can to get your central heating installed.